If you are a homeowner that has an HVAC system (short for heating, ventilation and air conditioning), you already know that these systems require the periodical exchange of air filters. These air filters will help remove particles from the air that circulates inside the system. What these air filters do is they make the air healthier, as they are able to eliminate bacteria, dust, pollen, and other such particles. Aside from that, air filters help prolong the lifespan of your HVAC system. What Exactly Does it Do and is Filter Easy Worth it? Why Do You Need FilterEasy’s Products? As is the case with all other good products, FIlterEasy was born as a solution to a problem. The 2 founders behind the brand often found themselves visiting hardware stores to shop for spare filters. It is not uncommon for people to forget about this chore altogether. FilterEasy was born as a subscription-based platform that allows you to choose the desired number of filters needed inside your home, their size, the quality, and the delivery frequency. 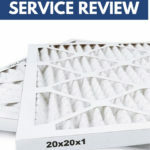 The company will ship your order and you can change your old filters for new ones. FilterEasy sells no less than 55 different filter sizes that are grouped under 3 levels of quality. Today, we are going to talk about the MERV 13, the best filter the company sells. MERV ratings from 1 to 4 are known as residential window units. MERV air filters from 5 to 8 are more suitable for home, but also for commercial and industrial use. 9 to 12 indicates a rating for air filters used in superior homes, but also in hospital labs. Filters with a rating from 13 to 16 are found in hospitals, especially in surgery rooms, where air quality needs to be impeccable. Because clogged air filters will damage your HVAC system. In general, dirty filters are the primary cause of HVAC failure. Since the airflow becomes more restrained because of the dirt accumulated in your current filters, the system will try to work harder and harder to push air through and will eventually malfunction. It’s basically a principle similar to the one we use for refrigerators doors. When you leave a fridge door open, the appliance motor will work harder to keep the air inside to optimal levels and will end up being damaged. When the air filters are dirty, the fan motor is put under extra pressure and consumes more energy than usual. Even more, dirty filters will lead to dirty ducts inside your air conditioning and heating systems. 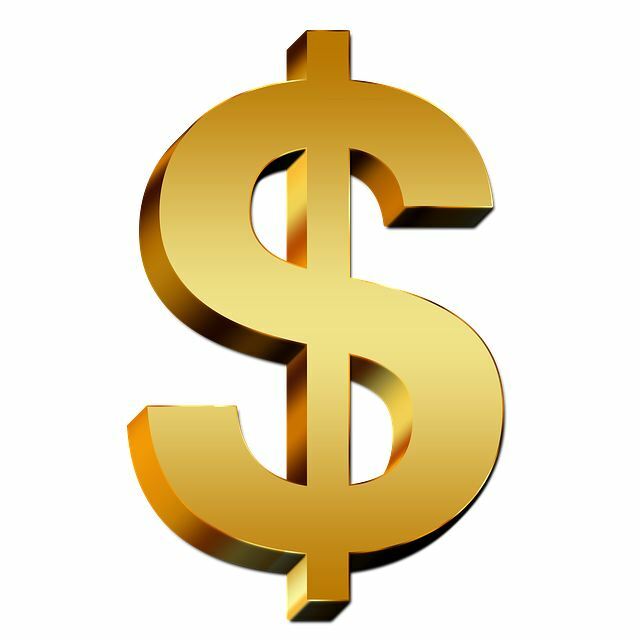 Depending on the damage suffered by the HVAC system, repairs can cost anything from $500 to $7,000, while replacing the system entirely can be as costly as $10,000. But there’s often FIlter Easy promo codes or Filter Easy coupon codes found on the net or offered via their website to help save you some money. Never have we come across a product with a more suggestive name. FilterEasy does exactly what it advertises; it delivers the filters you need at your doorstep, to make FILTER exchange as EASY as possible. Filters out pollen, dust, mold, bacteria and pet dander. Also useful for filtering oil smoke, cigarette smoke, and smog. You can subscribe for a free trial. Meets the standards of hospitals. Great for people who suffer from allergies and have pets. Increases the lifespan of your HVAC system. Convenient automatic delivery system to remind you to change your filter. High-density filters are more efficient but require changing more often. FilterEasy offers 3 different types of filters: LiteAllergen, MicroAllergen, and SuperAllergen, also known as MERV 8, MERV 10 and MERV 13. Starting with MERV 8 and going up, every one of these filters is better than the last. In other words, the MERV 13 is the very best filter than money can buy. Why? Because it does everything that the others do, and more. The SuperAllergen filter is capable of retaining microscopic allergens that are 20x smaller than grains of salt. It’s, by far, the best choice for people who suffer from several asthma or allergy problems. The filter is dense enough to filter small particles up to a point where it needs more frequent change compared to the other 2. That’s because its density, even if it’s more efficient, will provide lower levels of airflow. However, the resulted air is hospital-quality clean. It is no secret that a good air filter should be able to keep out asthma causing alleges from the air you breathe. HVAC systems are one of the most efficient ways to do so. Aside from its many other qualities, the MERV 13 air filter will make sure that airborne allergens are kept at a distance. The MERV 13 is built in such a way as to prevent almost everything from passing through it. The filters are high-density products that make it impossible for all sorts of different particles to penetrate the surface and contaminate your air. They are so fine, they will even prevent smoke and smog from passing through, ensuring that you breathe only high-quality air. Since MERV 13 filters are very dense and highly efficient, they also get clogged up a lot faster, meaning they require more frequent change compared to the lower density models. Even so, there are several other factors to take into consideration if you are not sure about how often you need to exchange these filters. The first determining factor is how many people and pets live inside your home. The more people living in your home, the more dust and dirt they make. The more pets, the more danger. Both of these affect the air quality inside the house. It’s also important to know if you have anyone in your home that suffers from allergies. Respiratory issues are nothing to neglect. Outdoor air is another contributing factor. If you live in an area where outdoor air quality is poor, it will affect the quality of your indoor air as well. Long story short: you should check your filters about once per month. If you notice any coating of dirt that prevents you from seeing the filter’s media, you need a new filter. The MERV 13 is a favorite amongst pet owner that have HVAC systems installed in their homes. Those of you who are not aware of the danger that pet dander brings should know that it is a composition of very tiny skin particles and flecks that are normally shed by our pets. If you suffer from allergies, they are one of the most common triggers. You don’t have to worry about the FilterEasy team not being able to provide you with the size of your choice, as they have a very wide range of available filter sizes. You can choose a filter with a thickness that’s 1 inch, 2, 3, 4, 4.5, 5, 6 inches or accordion. You can also opt for custom-made filter sizes. All the filters distributed by FilterEasy are made in the United States. Their 1-inch filters have a sturdy construction, as their cardboard frame is resistant to moisture. The filter’s media is made from synthetic blends, which have been reinforced by metal mesh. These filters also have pleated media. If you are not sure which filter size you need, you can check your existing filters for guidance. The outer frame of these filters should have a set of numbers on them. If you spot 2 numbers, those represent the nominal size, which is the number set require for you to place an order. For example, the nominal size of your filters could be something like 20’ x 21’ x 1’. The nominal size of your filters will always be a set of 3 numbers that represent the length, width, and thickness of the filter. The first step requires that you choose the number of filters you want. You can select as many as 12 different filters upon placing an order. After having chosen the number of filters, you are required to select the size required for each from a drop-down menu. Moving on, you can now select between the 3 different types of air filters sold by the manufacturer. In order to get the MERV 13 filters, select the last option out of the available 3. The 4th step allows you to select the delivery frequency. You can opt for monthly delivery if you feel the need to exchange the filters often, but you can also select a 2 or a 3 months delivery. However, this delivery schedule is highly customizable. You can select the desired month and the part of the month when you want your filters to be delivered. You can also select a date when you want the first shipment to arrive. You can add more months to the schedule and rest assured that FilterEasy will never forget when to send your filters. The final steps require you to complete your contact information, your shipping address and your billing information. Your credit card number is required even if you opt for a trial subscription. One of the best things about working with the FilterEasy subscription system is that customizing your order is super simple. Your air filters will arrive when you decide and you will be billed in the interval most convenient for you. Not only are the filters delivered to your doorstep without you having to worry, but the system itself acts as a periodical reminder that this task needs to be performed. The system is praised by everyone who constantly forgets that air filters need changing. Another reason why FilterEasy has gained so much popularity is that of the high-quality filters they deliver. People have noticed a major improvement in how their HVAC systems work, but also in the quality of the air they breathe. People who suffer from allergies can immediately tell that MERV 13 filters are working. Pet owner vouch for the pet dander removal feature of this product. Even with this hassle-free system put in place, people don’t believe that the FilterEasy cost is an expensive service. You’re paying for your filters and that’s pretty much it. But there is a Filter Easy first-month free offer you can take advantage of. Since the MERV 13 meets surgery room standards, there’s no doubt that this is a quality investment for your home. The number of particles that the MERV 13 actually filters is impressive. It can keep your air clean of any dust or dust mites, pollen, mold, bacteria, pet dander, and even smoke, smog or cooking oil smoke. This particular type of filter is extremely useful in larger homes, with many family members that suffer from respiratory issues and have pets. Inhaling air polluted with these allergens can trigger severe asthma reactions, which increases the need for a highly efficient and reliable set of air filters. Since the MERV 13 has a high-density surface capable of filtering… well… pretty much everything, you will need to exchange it more often than lower-quality filters. The latter type of filter is not as efficient in keeping stuff off the air and therefore takes a longer time to actually get dirty. 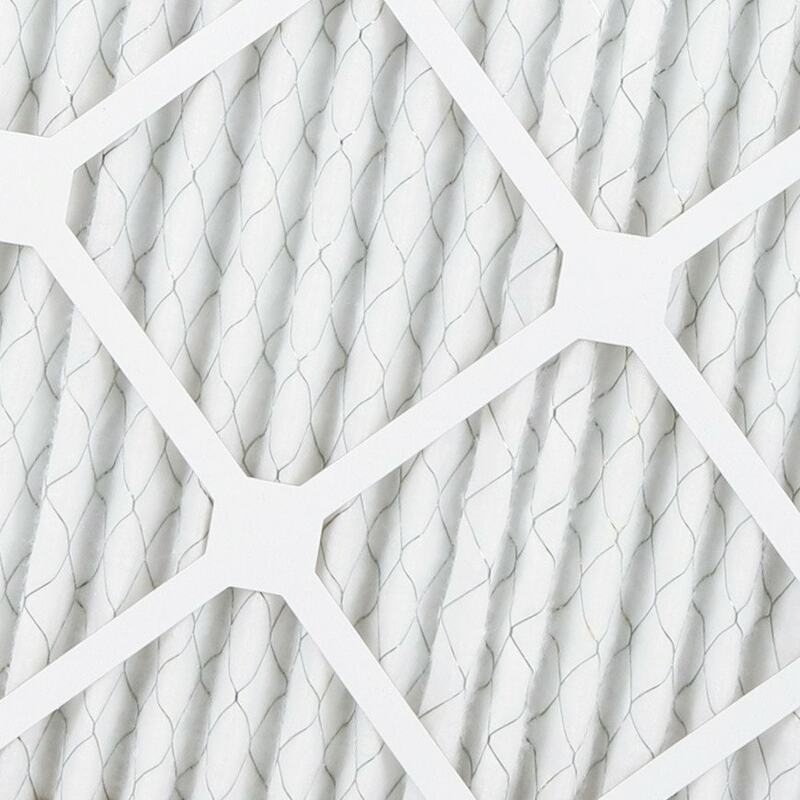 Aside from all the obvious health benefits given by filters such as this one, we have to remind you that a good set of filters can prolong the lifespan of your HVAC system which, when damaged, costs thousands of dollars to repair or replace.